December is almost here and despite the posturing of Barcelona’s board, Lionel Messi still hasn’t put pen to paper on a new deal and, as it stands, is out of contract next June. 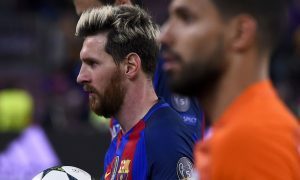 Barcelona president Josep Maria Bartomeu has repeatedly insisted since the summer that Messi has agreed to sign a new deal, and yet nothing has been formalised as the end of 2017 approaches. This has the likes of Manchester City, who have been courting the Argentine genius for years, on alert, with the idea of signing Messi on a free transfer appealing to any club. 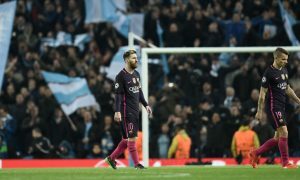 And with the likes of Pep Guardiola, Ferran Soriano and Txiki Begiristain at the Etihad, the Blues would be well positioned should Messi decide on a new adventure. Barça midfielder Ivan Rakitic is confident Messi will renew his deal, but at the same time has alarmed culés by saying he isn’t 100 per cent sure if the 30-year-old will stick around. “I can’t say 100 percent if he will stay or not,” the Croatian midfielder told the press. “That’s his decision and you have to respect what each person thinks or does. “But what I can say is I see him the same as always. We haven’t spoke about it, but we’re confident [he will stay]. “Leo’s part of the badge. He is not just a very important player, he is more than that, looking at his career, how much he means for Barça. “We know the fans want to see the picture, the handshake — and I do, too. I want to play with Leo tomorrow, three years, five years in the future. The only thing we can say as teammates is that we want him to stay, he has all our support and we enjoy being with him. Messi is still odds on to remain at Barcelona but the tense political climate there and delay in the contract being signed gives City perhaps their last glimmer of hope of bringing the world’s greatest footballer to the Etihad.